Greetings, my beloveds, yes, it is I, Mary Magdalene. My beloved Yeshua is here as well. We wish to speak to each of you about rejuvenation of the soul, for it truly is a time that is a powerful reunion and reunification of your own soul essence. 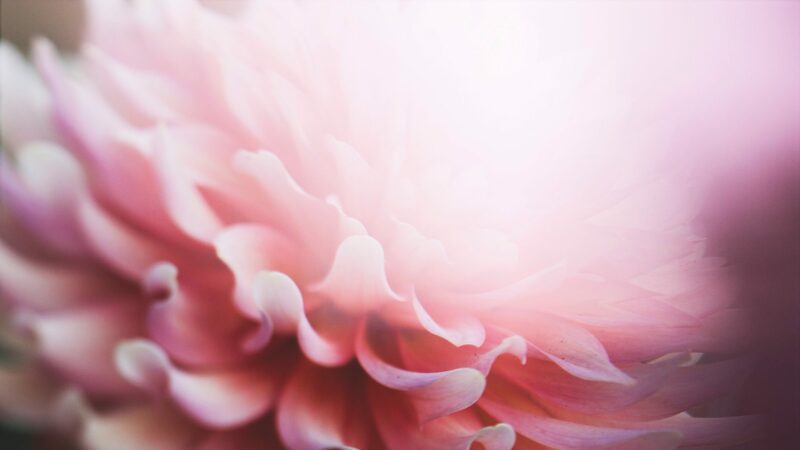 Today, as you stand in this powerful frequency of love and light, we ask you to re-remember the remembrance of your soul as you step forward into this agreement that you are co-collaborating with your soul and your sacred mission. Today, as you begin this journey into this new frequency, there is a powerful energy that is being emitted upon this planet. It has been brought forth for several generations of time, but now, this frequency is becoming more potent and more widespread, and so, Dearest Ones, what this means is that each of you are being called forth to step forward into your sacred union with your soul. To truly align yourself to the power of your soul, as you begin to blossom and bloom into your soul’s essence. So many do not understand that the soul journey is the most predominant energy that is navigating your own personal life. However, many feel this sense of tugging inside of themselves, as if there is a push or a pull, or there is a dissatisfaction, or there is a calling in another direction of their life that perhaps they are resisting. Perhaps they are confused, perhaps they do not understand, what is this dis-ease, or this discontent that I am feeling? It is your soul calling to you, it is your soul calling forth into the energy of rejuvenation, into blossoming into a new level, into a new direction, into a new frequency. And so, Dearest Ones, today, as you allow your soul to reintegrate itself and to become, as we say, more present within your life, begin to feel the tickings and the stirrings of your own soul, and begin to listen. Take time to quiet your mind, take time to quiet your mind, take time to quiet your mind, and begin to listen to the tickings of the soul. And begin to relax into the knowingness that you, your personality, and your soul essence are guiding you, and begin to feel this energy as it moves through you, and begin to relax. And so, Dearest Children, I ask you to take a deep inhaling breath and begin to breathe in this energy of rejuvenation, begin to breathe in the essence of the soul, and begin to breathe in the energy of the light of All That Is. And so, Dearest Ones, call your light into your own essence. Now call the beautiful energy of your spiritual light into your essence, into your soul, and take a deep breath and begin to feel, begin to feel alive again, begin to feel the energy of rejuvenation, begin to feel the excitement that a new day is dawning and a new frequency is stepping forward. And so breathe, my children, breathe. Breathe, my children, breathe. Breathe in the energy of the white light of God, and breathe it into your soul. As this frequency is stepping forward, we say to you the symbolism of the Kilauea volcano that is creating new landmass, for yes, this beautiful volcano, the energy of Madame Pele, the Goddess of the fire volcano, is creating a new Earth. This is the energy of fire, of rejuvenation, it is literally the destruction of the old making way for the new energy, the new landmass. We call it the new Lemuria, the new landmass that is being formed and created. And we say to you, Dearest Ones, as you see and watch this beautiful destruction and creation of energy, it is the same within your own individual lives. Can you see perhaps that there are aspects of your life that are crumbling, falling away, that no longer serve you? And yet, perhaps you are still hanging on, perhaps you are afraid of change, perhaps you are afraid of a new life. So we ask you to settle your heart into this energy of rejuvenation. Just as Madame Pele is creating a new landmass, yes, Dearest Ones, it creates fear and destruction, but at the same time there is new life. And so, this is the way of life, this is the way of Mother Earth, this is the way of creation, all continues to create, nothing remains the same, life is always changing, there is no stagnation. And so, if you are feeling stagnation within your life, if you are feeling resistance to change, please allow us to call in the fire of life and begin to rejuvenate your system, so that you may begin to blossom and to bloom. And so begin to breathe in this energy of the white light of God, begin to breathe in this energy of the white light of God, begin to breathe in this energy of the essence of fire, the element of fire so that you may begin to recreate and rejuvenate your life. And so, I ask you, Dearest Children, if you are ready, please place your feet upon the ground, and allow the element of fire to step forward to begin to recreate your life, letting go of all that no longer serves you, and moving forward to this beautiful energy of creation, allowing you to blossom, and new life to come forth. Many of you are going through so many changes, and your soul is calling you into the next level of your life, into the next stage of your life. And many are confused, what am I to do now, where am I to go? Perhaps even questioning is my life over? And yet, we say, Dearest Ones, surrender, trust, allow, and receive. Surrender, trust, allow, and receive. Surrender, trust, allow, and receive. Letting go and letting God. Letting go and letting God. And so, as you prepare yourself to receive this energy frequency upon this day, I ask you not to be afraid, but allow yourself to have the courage to recreate your new life, just as Madame Pele is creating a new lifeform there at the Kilauea volcano, there on the big island of Hawaii. The new landmass is forming, new life is being created, and so, you see, Dearest Ones, there is always symbolism, there is always a reflection of a mirror of what is happening on the Earth, with the collective consciousness of humans, and yes, Dearest Children, it pertains to you. And so, at this time, hold the light, and hold the love, and hold the peace that is so needed within your essence. I will step back momentarily and allow Yeshua to speak, as he will speak about the resurrection of his own soul. Greetings, beloveds, yes, it is I, Yeshua. Before, during, and after my crucifixion, there was a time in my own mind that I wondered would I literally survive the crucifixion? Would I be able to move forward into my own resurrection process and ascend into higher consciousness, into my Christ Conscious essence. As many of you know, I did not physically die upon the cross, but I lived on. But I was not the same man, I had literally ascended into my oversoul and began to operate from my oversoul mission. That was the time of my own purification, that was the time of my own resurrection, that was the time where my soul was calling me to move forward, and so I agreed. And so, today, Dearest Children, your soul is calling you to move forward, your soul is causing you and creating what we call the death of the old you so that you are able to move forward into the new soul pathway that you have chosen. This is a powerful day, Dearest Ones, and just as you witnessed the destruction and the creation of the Kilauea volcano, it was the same with myself. All of my old energy frequencies and cell remembrance of my energy as Jesus of Nazareth literally was resurrected and purified into the Christed light and Cosmic Love in which I was to bring forward onto this planet. It was as if all of my cells in my body were filled with the elixir of light, and I began to illuminate as the Christ Conscious essence within my own oversoul. And so, what appeared as my death was the death of my old me, my mortal self, that allowed me to move into my resurrected self and Oneness with All That Is. And so, today, Dearest Children, this is happening with you as well. Perhaps you may be feeling this, and feel a sense of sadness, or perhaps a feeling of excitement regardless of what emotions that you are experiencing. I ask that you embrace this and be free. Knowing that you are moving forward into this great level of your soul and your oversoul, living from the higher perspective of who you truly are. And so, today, as you breathe in this energy and allow yourself to simply surrender to the process, be not afraid. Surrender to the process of change and purification and be not afraid. Letting go and letting God, letting go and letting God. And be not afraid. And so, as you enter into this powerful frequency and you feel the energy igniting within you, calling it into your heart chakra and feeling the excitement of change, the excitement of the new life that you are creating for yourself, physically, mentally, emotionally, energetically, and psychically, you are creating a new life for yourselves. You see, the changes that are happening upon the planet, not only globally but environmentally, cosmically, and energetically, have created as many as you understand this New Earth, the New Earth template of the fifth dimensional frequency that has been overlaid upon your planet. And so, each of you at this time are to be called forth with your soul, you are being called forth by your soul, to match the vibration of the New Earth, to match the vibration of the fifth dimensional frequency, and live in this frequency in the purity of your oversoul, and move forward with your life pathway and your soul journey with grace and ease and excitement and acceleration and power and joy and enthusiasm that a new day has dawned, and you are blossoming into your own Christ oversoul. Those of you who are present today, and those who will read this or hear this have an opportunity to move forward into the powerful essence of your oversoul and live from that strength and that power that is being gifted to you today. It is very important, Dearest Children, that you hold your intention not to resist the changes, but allow the flow of life to come forward. This is the flow of the lava that is creating the New Earth in Hawaii at the volcano site. Nothing can stop it, this powerful force, just as the lava does not seem to be stopping or slowing down, it is creating new life. And so, Dearest Ones, allow this energy to come inside of you and be in alignment with your soul journey. Each of you are being gifted this knowledge, this information, because all of you have powerful work to do, and it is of grave importance that you receive and acknowledge this and honor this and prepare yourself to move forward into the next leg of your journey. This is a powerful time for all of you, this is a powerful time for Mother Earth herself. She, too, is undergoing the process of ascension and rejuvenation as we speak, on multiple levels. And those on the Earth will either move with her or they will be left behind. Because the individuals and humanity, and all of creation are to live in the energy of Christ Consciousness, into the energy of All That Is. When we speak of the Christ Consciousness, we are not referring necessarily, as they say, to my energy. But we are referring to the energy of the collective, of All That Is. The energy of Oneness and unity, cosmic love, and peace on Earth. And so, Dearest Children, call this frequency in so you may be at peace, you may feel the strength within your heart to move forward. Letting go and letting God, and letting your past begin to fall away. This is an important time within your individual lives, it is an important time upon this planet, it is a pivotal moment, and just as that day upon the cross, at my crucifixion, in many ways, it was my judgment day, it was my day of Ascension. And yes, I was afraid, and yet, I survived. And I continued on, continuing my life’s work within the essence of my oversoul leading me and guiding me and carrying me forward. And so, I ask you to have the courage to leave the old behind, and to make way for the new, stepping forward into your new life, into your new journey, and preparing yourself to receive. What a beautiful day, Dearest Children, what a beautiful day of resurrection, what a beautiful day of rejuvenation. You are all blossoming like new flowers, new growth, new seedlings of energy. So much energy has been seeded within you, so much knowledge, so much love, so much light. And each of you have been nurtured, you have been loved, you have been seeded with so much light and love. And your soul is now ready to blossom. What can you perceive for your own life? What can you perceive for your own soul journey? What are you holding for your truth, of that which you are to bring forward? I say to you, Dearest Children, prepare yourself to receive. Letting go and letting God. I will now allow my Mary to speak once again, so I ask you to hold my own template, my own energy frequency, the symbolism of my own crucifixion and resurrection to simply have a new meaning for you, as they say, you are born again, you are rejuvenated, a new life, the soul is born again. And so allow yourself, Dearest Children, to receive this frequency and to honor the truth of who you are. Go now with the understanding that all is in order and all is as it should be as you prepare yourself to receive. Honor the light in which you are holding, honor the light that you are, honor the love, and honor the remembrance that you are a powerful, powerful soul that has chosen to come to this planet to make powerful changes. Go now, my children, and prepare yourself to receive and to blossom. 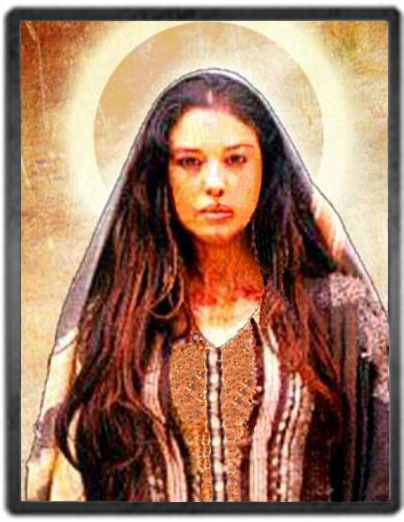 My beloveds, yes, it is I, Mary Magdalene. As Yeshua has spoken, he held the frequency, what we call the template, for all to ascend and to resurrect. I, too, was frightened for Yeshua and for all of us, and as we have spoken of many times before, we were afraid that he might physically die. And yet, he lived on. My beloved Yeshua lived on, and so, Dear Sons and Daughters, know that if you are feeling a sense of sadness or loneliness, or disconnection from yourself, that you are being given this opportunity to resurrect yourself and to live on. That your life is not over, your mission is not over, you are stepping in to a new level, perhaps you cannot conceive this, perhaps you cannot realize this, but allow your mind to settle quietly, so your soul can direct you, so you can begin to feel the inner stirrings of the direction that you are being called to take. Every individual upon this planet is being called forward to live from the truth of who they are. And so, we say at this time, that as you allow yourself to have the courage to move forward into your soul pathway, you will assist this planet and your fellow brothers and sisters by your courage, by your strength, by your commitment to move forward. Letting go of the old and making way for the new. And preparing yourself to receive. Each of you today are receiving this gift, this gift within your heart, that your soul is blossoming and blooming and resurrecting. It is Yeshua and my honor to stand with you, to help you to be in balance and be at peace. And to center yourself during this time of change. You are not alone, you have never been alone, and you shall never remain alone. Your powerful spirits are collectively and individually more powerful than you can imagine yourself to be. And each of you are changing and affecting the world, one moment at a time, one thought at a time, one vibration at a time. And so know, Dear Sons and Daughters, how important you are to us, for we love you and we honor you, and we bless you. For as you have stood forward in your courage to be the light that you are, you have stepped forward onto this planet to greet your own oversoul, so now, Dearest Children, welcome your oversoul, it is time, you are creating a new life. If this seems to be a bit perplexing to you, we ask that you breathe, relax, let go and let God, and hold the energy of Divine, pure love within your essence. This is another part of your journey you see, let go and let God. This is another part of your life, this is a very important part as you step forward with your oversoul, and just as Yeshua did at the time of his crucifixion and resurrection, you will move forward into your magnificence, holding the brilliance of your light for all to see. We thank you, Dearest Children, for your time and your attention, we ask you to hold this energy and your thoughtforms and to realize that nothing stays the same, and yet, the excitement of your new life is here. Create, create, create, just as Madame Pele is creating a new landmass, the new Lemuria, you are now creating your new life. Your soul is creating with you, can you feel it? Can you sense it? Can you acknowledge it? Now, my Dearest Children, step forward into the energy of peace, be still, be still, be still, and know that you are loved. We stand with you as you move forward into this beautiful time of co-creation with your own oversoul. In this we thank thee, and so it is.